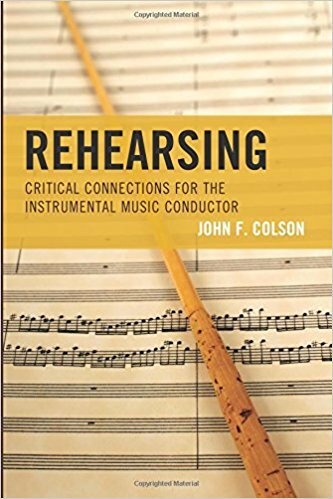 In the section entitled, “Teaching through Performance Concepts,” Colson provides a lengthy list of phrases to be used in the rehearsal process to get players to focus on the various subtopics. For example, under “Ensemble Sonority Concepts,” he offers among many suggestions, “The vibrato should be employed appropriately to enhance the ensemble sonority.” For the conductors in the ITA, you will find this phrase list quite helpful to enhance your own rehearsal vocabulary. Colson has taught high brass for over 50 years and has over 35 years conducting experience. He penned this book to fill a gap he has experienced in working with conducting students. It can be used as the primary source for an advanced conducting course or as a supplement to his previous book, Conducting and Rehearsing the Instrumental Music Ensemble.